May is special for the fans around the world in celebration of STAR WARS series. May 4th is a day Star Wars fans have chosen to celebrate and honour all-things-Star-Wars, be it by posting Star Wars related content to social media, hosting Star Wars screening parties, wearing Star Wars costumes and clothing, or shopping for Star Wars merchandise. Since then, and especially in recent years, Star Wars fans have claimed May 4th as their day, a day that has also given Lucasfilm an opportunity to give back to the Star Wars community that honors that galaxy far, far away. 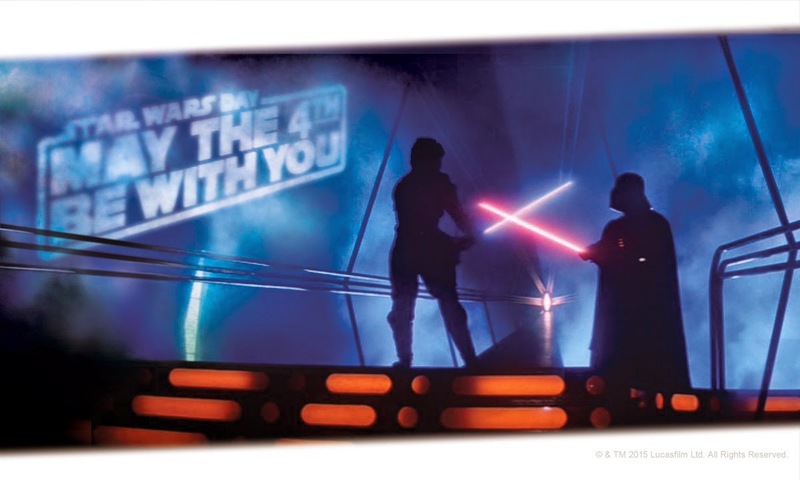 Since 2012, Lucasfilm has encouraged May the 4th activities through its official website and social channels as well as provided built-in discounts and special offers on Star Wars merchandise. And since “May the 4th Be With You” doesn’t carry the same witty punch when translated into other languages, “Star Wars Day” has been adopted to establish a global meaning for this annual worldwide celebration. 2. Have a Star Wars movie marathon with friends and family! But do you start with the prequels or the original trilogy? Do you mix in some episodes of The Clone Wars and Star Wars Rebels? Better decide before your guests arrive, or you may spend the day in a heated debate. 3. Food is an essential part of any holiday. Death Star Cake Pops or a Ham Solo Sandwich, anyone? Find a variety of recipes on StarWars.com! 5. Feel the Force with Star Wars crafts: turn clay into an awesome Star Wars keepsake! Learn how to make Clay Yoda, Star Wars Bookmark, and more at StarWars.com! 7. You know that Rebel Alliance symbol tattoo you’ve been thinking about getting? Today’s the day. 8. Sometimes people use holidays to travel to new places. Why not go to Disneyland or Disney World and ride Star Tours? There are over 50 separate mission possibilities…so don’t plan on eating lunch beforehand. 9. As Yoda said, “Pass on what you have learned.” Introduce a younger sibling, family member, or friend to Star Wars! 10. Do you have any Star Wars toys that you don’t need any more? Donate them and make May the 4th really memorable for children in need. No matter what you chose to do, it will be a fun day full of awesome memories to cherish!